PETALING JAYA: After nearly 30 years, Malaysian Resources Corp Bhd (MRCB) is poised to join the premier league of the property development sector via its proposed merger with IJM Land Bhd. The company started in 1969, under the name Perak Carbide Sdn Bhd, with its core activity of carbide manufacturing. In 1981, it became known as MRCB, following a major shift in operational interests to property development and investment. To recap, the government-linked company, with Employees Provident Fund (EPF) holding in excess of 40% stake, announced that it would team up with IJM Land under a newly incorporated company (Newco). The proposal will involve a share swap of MRCB and IJM Land with new shares in Newco. Newco is expected to take over the listing status of both company in the second half of next year with implied market capitalisation of RM7bil and net asset of over RM3bil where it will emerge as the second-largest property developer in the exchange. It was largely reported that it would be a synergistic merger given the different strengths of MRCB and IJM Land in the property market segments. So, what does MRCB bring to the merger with IJM Land? According to OSK Research, MRCB's activities are mostly in the commercial sector and heavily concentrated in the Klang Valley, with its flagship project KL Sentral with gross development value (GDV) of about RM12bil. Its major shareholder, the EPF, is to undertake the development of the prized Rubber Research Institute (RRI) land in Sungai Buloh where we believed the merged entity may be the frontrunner to undertake the project on behalf of EPF, it said. This announcement was made in Budget 2011, whereby the project would involve mixed development comprising affordable houses as well as commercial, industrial and infrastructure facilities. The entire development is estimated at RM10bil and is expected to be completed by 2025. 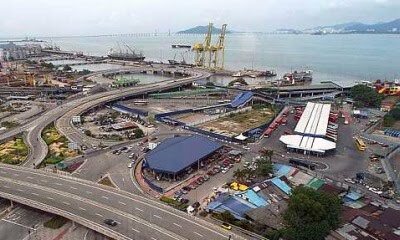 IJM Land, on the other hand, is more focused on township and residential developments in the Klang Valley, Penang, Johor, Negri Sembilan, Sabah and Sarawak with remaining landbank of 6,637 acres and remaining GDV of about RM22.85bil. This landbank of IJM Land would complement the merger, as according to Kenanga Research, post-completion of KL Sentral, MRCB might not have another equally strategically located landbank and would only be counting on securing a role in EPF's RRI land development to have a significant new earnings stream. OSK Research also believed the proposed merger might have been initiated by EPF as part of its efforts to consolidate its property exposure as well as to establish its own sizeable property arm. Besides MRCB, EPF is also a common and significant shareholder in IJM Corp Bhd and IJM Land. This, we believe, will enhance EPF's capability to achieve its goal of increasing its exposure in the property market as part of its investment diversification strategy, it said. The EPF was recently quoted on the merging of IJM Land and MRCB as saying it would first have to evaluate the proposal before deciding on its position. Based on current information, the EPF is slated to be the second-largest shareholder in Newco after IJM Corp, as the details of the new management structure has yet to be revealed. On the offer price of RM2.30 per MRCB share on the merger share in Newco compared to RM3.65 per share for IJM Land, OSK Research said it's a fair offer price but not that attractive. The RM2.30 offer price for MRCB offers only a 7% and 12.2% upside from the last closing price (before the merger announcement) and our previous fair value respectively. As such, we view the offer price as somewhat fair, and yet not that attractive, owing to the rather limited premium or upside, it said. Going forward, although Newco is expected to enter the premium league of property sector, the other players in the league are also stepping up in terms of size and capabilities apparent in the current trend of mergers and acquisition in the industry. On Nov 4, UEM Land Bhd has proposed a merger with Sunrise Bhd, while last week Sunway Holdings Bhd and Sunway City Bhd received a takeover offer from Sunway Sdn Bhd for RM4.5bil in cash-and-share swap. Thus, although the merger between MRCB and IJM Land is expected to create a giant in the sector next year, Newco is not alone in the battlefield as the other contenders would be equally strong. PETALING JAYA: Malaysian real estate investment trusts (M-REITs) are taking steps to expand their yield accretive potential and market capitalisation with a number of asset acquisitions underway. 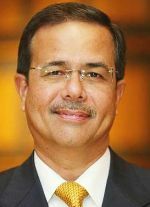 Malaysian REIT Managers Association (MRMA) chairman Stewart LaBrooy said there was a resurgence in activity in the M-REIT sector and the acquisition trail had commenced in earnest. In the list include AmanahRaya REIT's planned acquisitions amounting to RM497mil; UOA REIT's RM500mil asset purchase plan; KPJ Al-'Aqar REIT's purchase eight hospitals amounting to RM383mil and an Australian nursing home for RM135mil; and Axis REIT's purchase of four major assets worth RM238mil, Stewart said. According to Stewart, M-REITs are getting set for a re-rating and REITs which are actively growing and have high liquidity would be rewarded with a better premium than those that have not. On his outlook for M-REITs in 2011, he said if the property market remained bullish through next year, it is going to be difficult to manage to get yield accretive yields as we are evidencing a compression in the yield curve. Stewart said it would be important that M-REITs have sponsors who can provide a pipeline of projects or stock to the REIT vehicle at reasonable returns during these times. With the uncertain outlook of inflation and the falling US dollars, investors are moving into hard assets like property as a hedge resulting in the rising property prices, he added. The current high liquidity in the capital markets in Asia has led to a boom in equities on Bursa Malaysia. Stewart said in such an environment, the regional bourses, including Bursa Malaysia, have outperformed the REITs around the region, including in Malaysia. However, selected M-REIT stocks have seen their share prices rise and in some cases prices have touched record highs as risk-adverse investors clamour for yields in a market that was getting more risk adverse. Stewart said demand for M-REIT units by both institutional as well as retail investors was growing as evidenced by the successful listing of Sunway REIT and CapitaMalls Malaysia Trust in July. This was because there was still a strong arbitrage of 300 basis points in the returns for REITs when compared with Government bonds and 400 basis points when compared to bank fixed deposits. Disclosing that there was some RM244bil held by individuals in fixed deposits and a further RM80bil held in savings accounts, he said much of the work of the MRMA was to explain to the retail investors that they should seriously consider M-REITs as an investment class. As the M-REITs emerge from trading below their net asset values to trading above them they now can efficiently raise capital to purchase assets without diluting unit holders. The number of M-REITs that are trading at a premium to NAV is increasing. Stewart said the issue of liquidity was however a concern, adding that many of the REITs did not have the liquidity to attract global investors who required that average daily turnover on the local bourse per counter exceeds US$1mil a day. Many stocks are still tightly held and we have to get much larger in terms of number of units in circulation and market capitalisation of at least US$500mil to qualify. It is good to note that M-REITs are taking steps to increase their size and market capitalisation and this has resulted in a total market capitalisation of RM10bil now, he pointed out. 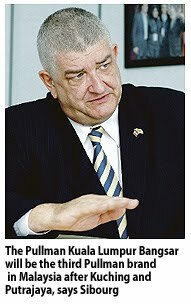 On initiatives by the MRMA to raise the competitiveness of M-REITs, Stewart said the association had made representations to the Finance Ministry and Pemandu (Performance Management and Delivery Unit) to get a tax regime that was aligned with Singapore, such as waiving the 10% withholding tax for resident and non-resident individuals, but did not succeed in the 2011 budget. We will continue to have dialogues with the regulators. We will be meeting next month to approve the proposals from our Regulatory Sub Committee that will lay out proposals for regulatory reforms for M-REITs. All these moves will bode well for the industry. Malaysia leads the region by having such an association as MRMA, he said. Pelaburan Hartanah Bumiputra Bhd, a unit of a Malaysian government foundation, said it will start a RM1 billion Islamic property trusted to enable the country’s so-called bumiputeras to invest in real estate. Bumiputeras, comprising ethnic Malays and indigenous people, will able to invest in the trust for a minimum RM500, Pelaburan Hartanah said in a statement today. Pelaburan Hartanah is a unit of Yayasan Amanah Hartanah Bumiputra, a foundation created by the government for real estate investment in 2006. 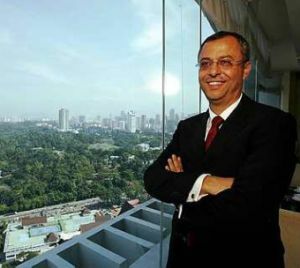 DUBAI: More syariah-compliant real estate investment trusts (REITs) will come to market in Asia in early 2011 as cross-regional Islamic investors increasingly embrace the product, HSBC Amanah Malaysia's new head said. Singapore's first syariah-compliant REIT, Sabana REIT, listed last Friday, has drawn a mixture of both conventional and Islamic investors, a quarter of them from the Middle East, chief executive officer Rafe Haneef said last Friday. "The take-up (among Gulf investors) for future Islamic REITs will be a lot greater than that," said Haneef, who is also managing director of global markets for HSBC Amanah. "At the moment there is no timeline for when other issuers will come out with Islamic REITs, but I would expect more in the first or second quarter of next year," he said. HSBC Amanah was exploring other Islamic REIT opportunities in Malaysia and Singapore, Haneef said, noting it was financial adviser for the Sabana REIT initial public offering (IPO). Sabana REIT sold 508 million units at S$1.05 (RM2.51) each in its IPO last week. The IPO was 2.5-times subscribed. Sabana REIT's shares closed at S$1.02 (RM2.44) on the Singapore stock market, after being weighed down by jittery market sentiment. PELABURAN Hartanah Bhd (PHB), a subsidiary of Yayasan Amanah Hartanah Bumiputera, today launched a RM1 billion investment fund to help Bumiputera entrepreneurs own properties. The "Amanah Hartanah Bumiputera" launched by Prime Minister Datuk Seri Najib Tun Razak is open to Bumiputera entrepreneurs with an initial investment of only RM500. "Under the Syariah-compliant investment scheme, Bumiputeras will indirectly have an opportunity to own equities in major properties. The unit trust will be sold at RM1 a unit," said PHB managing director and chief executive officer Kamalul Arifin Othman at the launch of the scheme. He said PHB was collaborating with Maybank to facilitate smooth transaction of the scheme. "Bumiputera entrepreneurs who are keen to participate in the scheme can go to the 400-odd Maybank branches nationwide to buy the AHB units," he said. On AHB returns, Kamalul Arifin assured investors that the returns would not be less than six per cent per annum based on the property sector's performance at the Golden Triange area. He said the PHB would continue to identify business opportunities through acquisition of premier assets and developing properties particularly in the commercial property development sector. "We are also looking to grow the fund size by another RM500 million by next year," he added. Established in May 2006, PHB is an investment holding company, which currently owns properties worth in excess of RM1 billion in and around the Klang Valley. COME July 2011, Malaysia will house Accor's largest hotel in Southeast Asia by rooms. French hotel operator Accor, which operates brands like Sofitel, Novotel, Mercure and Pullman is opening a 513-room five-star hotel in Bangsar, Kuala Lumpur. General manager Patrick Sibourg said that the hotel, the Pullman Kuala Lumpur Bangsar, will also become the flagship for the Pullman brand in Southeast Asia. In a recent interview with Business Times, Sibourg said that the hotel will be the third Pullman brand in Malaysia after Kuching and Putrajaya. Based on the room configuration and the success of the Pullman brand here, the group decided to adopt this brand to target the business crowd. It hopes to woo both the domestic and the foreign corporate businesses, especially those who visiting offices within a twenty-minute driving radius of the hotel. Being a hotel that focuses on business, it also has a ballroom with a 1,400-capacity and ten meeting rooms. "The performance of Hilton Sentral, Le Meridien and Hilton Petaling Jaya shows the growing confidence in the market here," Sibourg said. "We expect to have a 60 per cent occupancy and an average room rate of RM320++ by the end of December 2012," he added. Sibourg hopes to see occupancy rise by between 2 and 3 per cent each year. The hotel will have some seven restaurants, cafes and bars. Since it will also be big on meetings, the hotel expects to have some 500 staff. Revenue split from room and food & beverage is expected to be equal. Sibourg anticipates gross operating profit to be about 30 per cent in the first year of operation. Pullman has a 12-year contract with the developer Cygal Development Sdn Bhd. The hotel will be located in Tower 3. Cygal Bhd (which has changed its name to Sycal Ventures Bhd) started the construction of the building in 1995 but was stalled during the 1997/1998 economic crisis. 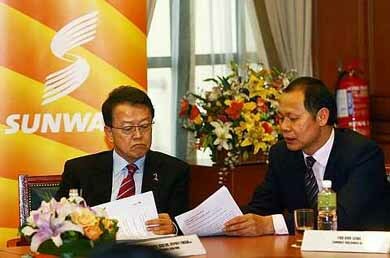 Telekom Malaysia Bhd bought Tower 1, Plaza Cygal in early 2005, and later that year TM bought Tower 2 from the owners. 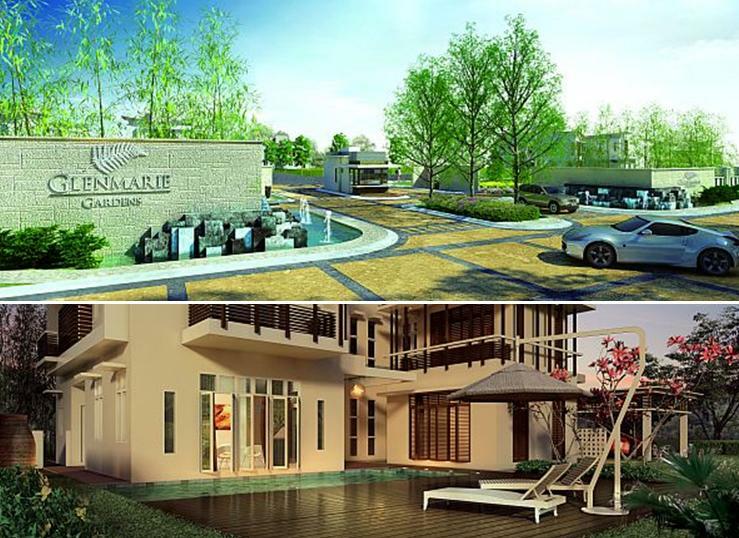 GLENMARIE Properties Sdn Bhd is confident that its latest project Glenmarie Gardens will be a hit among locals and foreigners. This is largely because it is among a very few freehold developments in Shah Alam, Glenmarie Properties chief executive officer Mohd Radzman Othman said. The development is unique with only 70 units of two-and-a-half-storey bungalows with a gross development value of RM380 million, Mohd Radzman said. "We will launch the project in stages starting with the first 14 units while the second phase with the remaining units will be launched next March," he said at a press conference yesterday. Mohd Radzman said although there are many similar developments in the area, Glenmarie Gardens stands out as it offers freehold land. "Our location is great and prime which is why we can safely say that our product will definitely be a good buy. Even before the launch, we have had 261 people indicating firm interest to buy the units with some even wanting to put the downpayment before the launch," he claimed. On the new ruling on loans for third home purchases, Mohd Radzman claimed that it had not dampened homeowners' interest to buy its properties. "We had one or two calls after Bank Negara Malaysia made the announcement (on 70 per cent cap for house loans on third purchases and beyond) but the rest don't seem to be affected by this change at all," he added. 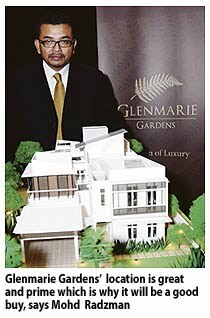 On its landbank, Mohd Radzman said Glenmarie Properties still has a sizeable landbank in Shah Alam and plans to develop it in time. The company is not shopping for new plots, he added. "For now, our concentration is to develop the land that we have, which also includes in Johor and Malacca," he said. The property sector has not witnessed more invigorating times than that seen in recent weeks, with the spate of mergers that promises to build large companies with huge market value and even larger land banks. Starting the siren of mergers in the sector were UEM Land Bhd and Sunrise Bhd, to be followed by Malaysian Resources Corp Bhd and IJM Land Bhd, and Sunrise City Bhd and Sunway Holdings Bhd. The latter two were announced just over the week. These will result in the creation of three property companies with over US$1bil in market capitalisation each. In fact, the merged entities of UEM Land-Sunrise (RM9.8bil) and IJM Land-MRCB (RM7.2bil) will have higher capitalisations then property bellwhether SP Setia Bhd (RM5.2bil). Why the deluge of M&A activities in the sector? Analysts attribute it to a combination of reasons. In the cases of Sunrise-UEM Land and MRCB-IJM Land, it is hoped that through these mergers, the government-linked companies (GLCs) can move forward to stamp their mark as regional champions. What better way is there then to merge with companies which have strong branding, sound delivery and impressive track record? asks an observer. 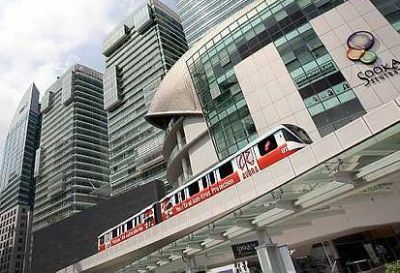 Another reason for the current consolidation could be players trying to get a bigger slice of land redevelopment projects created by the proposed mass rapid transit (MRT) system. CIMB research head Terence Wong says the mergers between the GLCs and private companies show that there is a significant push for execution and performance. From my conversations with property developers over the last two weeks, I have the impression that there is now a greater urgency for M&As. The formation of two large companies from the mergers of UEM Land-Sunrise and IJM Land-MRCB would pose a threat to other smaller companies in that the former will have more resources and liquidity, says Wong. Another benefit for these entities which on a stand-alone basis were not too appealing to foreign investors given their size (or lack of it), would post-merger have the economies of scale to draw these investors' attention, says Prudential Fund Management Bhd fund manager Lee Hwa Seng. The bigger size of these companies will make them more investable to foreign investors. These companies will now be able to compete with their regional counterparts, he says. Indeed, as MIDF-Amanah CEO Scott Lim says, Malaysian corporates are entering an interesting phase in the market. For the first time, GLCs are actively looking for expertise from the private sector to ready themselves for the next phase of development. In Malaysia, all major land banks are government-owned. The reason why private sector companies such as Sunrise and IJM Land are roped in, is because they have the branding and expertise. Hence, what you're seeing now is not just the making of bigger companies, but stronger ones, says Lim. Lee concurs: If a property company has a good track record but is a small player, it may not be good enough as the company does not have the balance sheet to acquire landbank. On the other hand, what the GLCs may lack in expertise or branding, they make up in landbank and government funds. So the public-private partnership is a formula that should work. HwangDBS Research analyst Yee Mei Hui makes an interesting point. She says it makes sense for GLCs to buy over property companies rather than land as valuations of these companies are still relatively attractive, whereas land prices have appreciated significantly. Driving home this point is the fact that property counters are trading at an average of 35% discount to their net asset value (NAV). In fact, most of them are also trading at a discount to their net tangible asset. Almost all property companies that merge can break up their assets and unlock more value out of their existing land bank, says Wong. Also over the week, YTL Corp Bhd announced a revamp of its property operations under a proposal to inject all its property development assets and projects into YTL Land & Development Bhd. 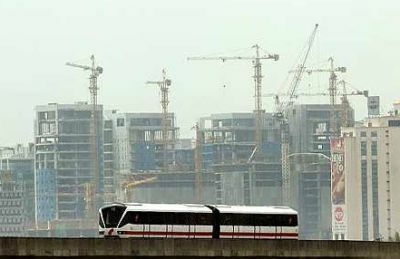 Yee expects the deal to transform YTL Land from an urban renewal developer in Sentul and Sg Besi to a prime city centre developer in Kuala Lumpur and Singapore. In Kuala Lumpur, YTL Land owns land in the Kuala Lumpur City Centre, Jalan Bukit Bintang, Jalan U-Thant and Brickfields, which is next to KL Sentral. There is expectation that the spate of recent proposed mergers will unleash another slew of merger activities among other industry players to avoid being left behind in the race to be bigger and better. 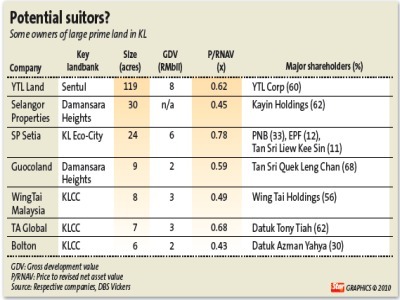 Potential targets, says an analyst, could be those with large prime land bank in Kuala Lumpur with shareholders that hold concentrated stakes. Those who fit these descriptions include Sime Darby Bhd, SP Setia Bhd and other property companies owned by Permodalan Nasional Bhd (PNB). Lim expect the M&A phase to accelerate over the next few months. Presently, PNB is the major shareholder of SP Setia with a 32.9% stake. PNB also owns unlisted property assets I&P Bhd, Petaling Garden Bhd and Pelangi Bhd as well as Sime Darby Property Bhd via its 52% stake in Sime Darby. PNB also has a 22% stake in Mah Sing Bhd. Currently, Sime Darby has one of the largest landbanks in the country. Its subsidiary Sime Darby Property Bhd owns 3,653 ha of development properties in Selangor and Kuala Lumpur. It also has 5,022 ha of development properties in Australia and China. A merger between Sime Properties and SP Setia will see an even bigger creation than what we've seen so far, says Lim. As activity heats up in the sector, the guessing game on who will buy who, no doubt, is set to continue. An artist’s impression of QueensPark SportzCity & Boulevard project in Kelantan. KRISTANA Holdings Sdn Bhd, the property arm of logistics company Metroport Group Bhd, is investing RM30mil to build its maiden property project, the QueensPark SportzCity & Boulevard lifestyle and recreational centre in Kota Baru, Kelantan. Meeting Kristana group managing director Datuk Dr Stanley Chew, one is tempted to ask the obvious why Kelantan? The state is no doubt popular for its rich traditional culture and heritage. However, more often than not, it's Kelantan's conservative enforcement rules towards entertainment that's more renowned. Still, Chew is confident about the prospects of the company's QueensPark SportzCity & Boulevard project, insisting that it would be the first of its kind in Kota Baru. Our concept is different from the conventional shopping complexes and hypermarts in Kota Baru. Apart from (just) shopping, we will also offer recreational facilities and al fresco dining to potential customers, he tells StarBizWeek. 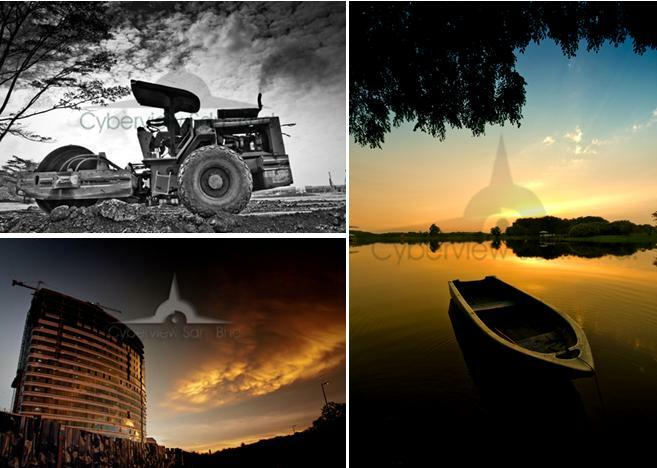 The project is slated for completion next month and will be officially launched in April 2011. The QueensPark SportzCity is a commercial sports and recreational centre that will boast the largest bowling outlet (with 36 lanes), snooker and pool centre, four futsal courts (including one FIFA-sized court) and a musical roller-skating rink (also a first in the state's capital). Chew says apart from commercial reasons, having multiple bowling alleys and futsal courts means the centre would also be able to host international sports events some day. He adds that space within QueensPark SportzCity would only be rented out (rather than sold) as the company wants to maintain control over the activities that are offered at the centre. We already have interested bowling operators that want to start business at our centre, says Chew. Meanwhile, the QueensPark Boulevard comprises 32 units of two and three storeys of shopping space. These shops will comprise food and beverage outlets, convenient stores, health and beauty, information technology, crafts centres and banking services. We will start offering the stores to potential tenants this month, says Chew, adding that the shops would be priced at around RM220 psf. He also says selection of the tenants would be selective, adding that Kristana would also have a say on who the tenants wanted to sub-let their premises to. We want to have a certain level of control over what we offer at QueensPark Boulevard, says Chew. He says 70% of the tenant mix would comprise local businesses. People that come to Kelantan want to enjoy and experience the local culture and food. The remaining 30% of the tenants will offer foreign products. This is to offer variety to our customers. Chew says the centre was developed on the build-then-sell concept so that potential tenants would have the assurance that the building is already up and ready. When they purchase the premises, they would be able to rent it out and start earning rental yields immediately. The project is also strategically located within prime land. As there is already a park and crafts centre nearby, there's an available crowd to attract. Chew says the centre would also be able to leverage on Kelantan's unique weekend' which falls on Friday and Saturday. Kelantanese observe Saturday and Sunday as their weekend. This means that the state's weekend is actually three days long instead of just two. A longer weekend means more time for the crowds to come in and shop. The QueensPark SportzCity & Boulevard is strategically located opposite the Taman Perbandaran Tengku Anis recreational park and close to a crafts centre, says Chew. Because of the location of our centre, we can attract a wide range of customers. Rather than just attract shoppers, the area will pull in crowds that want to enjoy a walk in the park. Those that appreciate cultural arts can go to the crafts centre. After that, they could shop or enjoy a meal at our centre. Alternatively, they could play a game of futsal, go roller-skating or bowl. Chew says with the project's strategic location, the aim is to position the centre as a hub for sports, lifestyle and entertainment activities. According to Chew, the QueensPark name was inspired by the Tengku Anis recreational park (Tengku Anis being the former queen of Kelantan). He says the development was influenced by international public parks, such as Hyde Park and Central Park in London and New York respectively. 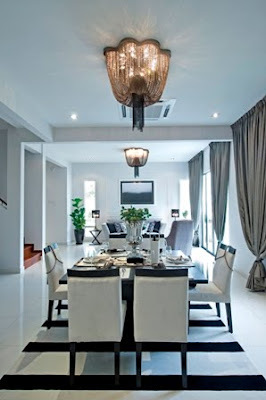 Hyde Park and Central Park are popularly sought-after addresses and we wanted to emulate that by having a complex by a famous park in Kota Baru, says Chew. Apart from attracting customers from within Kelantan, Chew hopes the centre would also be able to pull in crowds from neighbouring countries, especially Thailand. A lot of people from the south of Thailand actually come to hypermarts in Malaysia to purchase certain goods because they are cheaper here (in Malaysia). The QueensPark SportzCity & Boulevard is located about 45 minutes away from the Thai border and we hope to target potential customers from there, he says. Chew says that many of the existing entertainment outlets in Kelantan were already packed and feels that customers and patrons are eagerly looking for a new place to unwind. One of the reasons Kristana decided to build its project in Kelantan rather than the Klang Valley is because there were already plenty of sports and recreational outlets in Kuala Lumpur or Selangor. 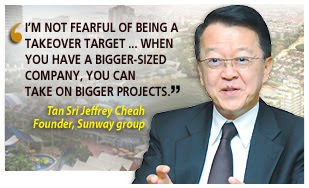 The challenge of building such a centre in the Klang Valley is that there would be too many competitors, says Chew. However, he adds that the company is looking to set up similar centres in other locations. We are looking for similar type of locations, meaning that we want to set up a lifestyle and recreational centre near an available park. This means that we'd probably develop it at the fringe or outskirts of the city rather than in the heart of the city itself. We're looking at replicating this model within the Klang Valley and perhaps Ipoh, Chew says. He adds that the long-term goal is to develop a similar project within the South-East Asian region. If we go regional, than 30% of the tenant mix will comprise Malaysian businesses, Chew says. KOTA Baru, the capital of Kelantan, is home to a few shopping complexes and the addition of Kristana Holdings Sdn Bhd's QueensPark SportzCity & Boulevard could face stiff competition. According to Kristana group managing director Datuk Dr Stanley Chew, the project will be positioned as a lifestyle and recreational centre, making it different from the conventional shopping mall as it will also offer sports and leisure activities such as futsal (football that is mainly played indoors and on a smaller playing surface), pool and snooker, bowling and roller skating. But for the average shopaholic or person looking to kill some leisure time, it just means that they are now spoiled for choice. The malls currently located in Kota Baru are KB Mall, Kota Baru Trade Centre, Pelangi Mall, Kota Seri Mutiara Shopping Centre and Tesco Kota Baru. One Kota Baru-based real estate agent feels that there were already sufficient shopping centres. If you also include hypermarkets (and malls), than I feel that there is an oversupply, says Azihan, a realtor from Kelantan-based property consultant firm Rahim & Co.
Every town in Kelantan already has a shopping centre, he adds. 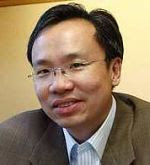 Malaysian Association for Shopping and Highrise Complex Management advisor Richard Chan, who was involved in the planning of the development of KB Mall in Kota Baru, argues that there is plenty of room for growth for shopping complexes in Kelantan. There's always room for growth. When Tesco came up (in Kota Baru), people were saying that KB Mall would be dead! But KB Mall is still doing well and commanding good rental rates, he says. According to Chan, rentals on the ground floor of KB Mall was commanding about RM20 psf. To have a successful shopping mall, you need certain criteria, such as good management, accessibility, location and anchor tenants. You also need good advertising and promotional campaigns that are done properly, says Chan. Azihan says that for a new shopping centre to be successful in Kota Baru, it needs to be different from the rest, adding that the QueensPark SportzCity & Boulevard looked poised to offer something new to shoppers and customers. One industry observer says that on average, consumer spending patterns (in Kota Baru) was good. Apart from locals, there are also a lot of tourists from Southern Thailand coming here to shop. The shopping centres here are often packed especially during school holidays, he says. According to Azihan, one concern that non-Kelantanese often have about the state is its strict entertainment rules. But calls are already being made to the state Government to relax its stringent entertainment laws, he says. Last month, it was reported that the Kelantan government was urged to relax its enforcement of rules under the state entertainment enactment to allow activities of traditional and cultural arts to perform in the state. Seni Suara Desa Association president Baharuddin Ghani was quoted as saying that it was necessary that the conditions be relaxed to develop and promote the state's culture and arts. FROM the strife-torn city of Beirut comes a man with great expertise and a big vision. Oussama Kabbani was born in Beirut and educated in an environment of civil unrest. Years of civil war have built a certain resilience in him and today Kabbani is rebuilding the city he grew up in. The politics is edgy; it has always been at the crossroads of many cultures, but it is a city he has grown to love and enjoy. Changes are still afoot but that's just the reality of politics. It may take longer than usual to reconstruct Beirut but when he took on the job, he was fully aware that it was a task that would span various economic cycles. But Beirut will be rebuilt, because the Harvard-trained urban planner has a big vision. You cannot have a small vision. You have to have a big one but how much it gets done depends on many factors. If a vision begins small, it becomes smaller, saysKabbani, who was in Kuala Lumpur recently. No doubt, he's self-motivated and a realist too. When one takes on a project such as this (Beirut), one is inviting criticism. So I might as well be harsh with myself from the beginning. Kabbani is banking on his experience in building and regenerating cities around the world in his task in developing Iskandar Malaysia, the growth corridor that is three times the size of Singapore. He is involved in Medini, one of the cities in Iskandar Malaysia. The chairman of Millennium Development says the company's expertise is in development management services. The company undertakes work on behalf of developers and investors in real estates. Essentially, it sets up the development strategy and undertakes all the work done by a developer. The only difference is the investment does not come from Millennium Development but from investors, who can be the government or the private sector. Kabbani says Millennium Development offers clients a portfolio of services which includes business development, urban planning, architecture, finance, marketing, legal and construction management. A client may be driven by the goal to build 100 buildings. But in my mind's eyes, I am building 100 communities because there is a desire for human interaction. We cannot live far from human interaction. Whether it is Beirut or here, it is the same. You may have your laptop, but you want to go into the office, or the restaurant. We are busy by day, and by night we seek the sanctuary of our homes, and so we create residential areas which are calm and conducive for rest, he says. But why cities? Kabbani begins in Beirut, which is today still undergoing reconstruction. Other than being the city he grew up in, he has learned a lot rebuilding a war-torn city. He is learning from the past in order to rebuild the future. You have to plan for the end and work towards it. If you have 1,000 ha, you cannot do it all at once. How you get from the start to the end sometimes takes a long process and we build over different economic cycles, he says. Not many professionals get the opportunity to work on a destroyed city. I wish I need not have to, but when I got the chance to do it, I might as well learn a lot from it. Much of it involves learning on the job and that in itself, provides a lot of added value. When you are building a city from rubble, you have to consider so many aspects, the planning, the politics, the economics and social issues, all of which goes beyond architecture. Beirut was where I learned. We set up a platform for good things to happen but the reality is things happen and we pray for things to be better, not worst. First, it is my home country. Also, there is the passion that went into the making of a city after war. I used to say this is the age of the bountiful and we consider ourselves a new generation that was going home to rebuild what other people have destroyed. If you don't have passion, you cannot do a good job. The mind is not enough. It has to be the mind and the heart and I am proud to say that to a big extent, we have succeeded, he says. Building cities is not a common passion and Kabbani says he has been lucky over the last 15 years to live at a time when building cities has become common. The company is involved in various city projects in the Middle East, Malaysia and Kazakhstan. Oussama gave the company 20 years to reconstruct Beirut but due to the political and economic situation, it will now take another 15 years to finish. However, the foundation is solid and it will mature. We will have the right architecture and transportation principles, the land use, the right mix. Our objective is to create that energy in order to pull in more investment, interest and media attention. Then it will take a life of its own. But binding all these together is quality. It is not something that you can easily quantify because quality starts from everything underground, on the ground, and over the ground. Although he loves Beirut, over the years, he has also grown to enjoy other cities, especially those with surprises around the corner. He also likes cities where he does not need to drive. What does one remember about the cities that one has visited? Each city has its own identity. Twenty to 30 years later, will it be remembered for the shape, landscape, the buildings, the financial power? There must be a timelessness about it. He started building cities in the Middle East and the experience he gained from Beirut became very valuable. Today, building cities or regenerating them have become a demand. The rebuilding of Aktau in Kazakstan, after the fall of the Soviet Union, is the city's aspiration to join the global economy. He says that although the company is based in the Middle East, there is a human aspect that is synonymous with all mankind. We may be different as a people, but equal as human. We are global, very global in our services but also very local wherever our projects may be, because as a Lebanese, there is always the Lebanese diaspora. We are all over the place and there is a natural tendency to assemble together. Unless you seriously respect another, you are bound to have trouble. I went to the West to do my Masters, but was educated in Beirut, under the bombs. Beirut and those times were the school of life. As for my personal life, I come from a family of mixed marriages. And Lebanese are people who articulate their thoughts well. And so we articulate our views and thoughts during meal times or when we come together. Property buyers can hopefully look forward to wider choices, more innovative and quality property products to choose from if the spate of mergers and acquisitions (M&As) involving property companies translate into integration of skills, resources and innovation among industry players. With more Malaysians turning to property investment these days, it will be welcomed by property buyers if these M&As promote the coming together and fusion of talents and capabilities among industry peers to bring to the market more well-planned and quality projects. I believe one of the main factors for the sudden urge for developers to want to become part of a bigger entity is the fact that the Federal Government is opening up a number of its prized land bank around Kuala Lumpur and the Klang Valley for redevelopment. Among the government-owned prime land in Kuala Lumpur and other parts of the Klang Valley are the 50 acres at Jalan Cochrane; 20-30 acres in Ampang Hilir (near KL city centre); and the 3,300 acres of Rubber Research Institute land in Sungai Buloh. Others comprise smaller parcels in Jalan Stonor, Brickfields, and Bukit Ledang (off Jalan Duta). Notwithstanding the intense competition for the rights to develop these government-owned land, it is important to ensure optimum benefits for the people and country by upholding the utmost transparency through open tenders in the award of the land for development. For both the public and industry players, the redevelopment of these land offers a huge opportunity to turn around and inject more vibrancy into the city's property landscape. Most importantly, all the attributes should be in place for Kuala Lumpur to be accepted into the list as one of the most livable metropolis in the world. Kuala Lumpur and the Greater Klang Valley can certainly do with an efficient and well integrated public transportation system; a clean, green and safe environment; and a lively cultural and performing arts scene which are among the missing links in the city today. The project planning should not be motivated just by profits, but should be demand-driven, and add value to the living, working and leisure environment. It is imperative that a thorough and in-depth market study be conducted when drawing up the master plan for the redevelopment programme. In the planning and execution of these projects, input from the public, community groups and industry players should be sought and be given due consideration. There is certainly a shortage of affordable landed housing (priced between RM200,000 and RM300,000) in the Klang Valley today and ensuring more such projects in the new development plans will be a timely gesture to ease the burden of the common folks. If the implementation of the enlarged Kuala Lumpur master plan is done with best practices and attention to details, the people will be able to enjoy a more holistic and vibrant city. It will also be a boon to property values given the higher value perception bestowed on a Kuala Lumpur address. With such massive development opportunities opening up, it is no wonder there is this sudden expansion frenzy among industry players. Since UEM Land Holdings Bhd stated its intention to take over Sunrise Bhd earlier this month, two other mergers involving MRCB and IJM Land, and Sunway Holdings Bhd and Sunway City Bhd have been announced. The first two mergers involve government-linked entities with private developers while the third involve two sister companies in the Sunway stable. It marks the creation of Malaysian property giants that have the heft and ambition to go regional, if not global. The merger will boost their land bank, product offerings and expertise to enhance their market position. With the growing competition, industry players see the need to strengthen their market capitalisation, land bank, geographical presence and expertise. The marriages of these companies will allow the involved partners to leverage on each other's strengths and ensure better utilisation of resources. They will also create a bigger vehicle with a stronger balance sheet and market capitalisation to undertake bigger projects. With their enlarged capacities and capabilities, there are better chances of winning bids for larger projects. Of course, all eyes are on the redevelopment of the massive Rubber Research Institute land in Sungai Buloh. Besides flexing their muscles locally, developers are also seeing the need to venture offshore as the home market, while still robust, has a limit to its growth potential. Globalisation is taking on a new vigour and there are opportunities for local developers to spread their wings to become international players. Having a good brand and stronger financial backing and expertise are some of the prerequisites to carve a niche in the international market place. While there are merits to being big, let's not forget that many conglomerates have failed after they grew too big and clumsy. Most of the time, these gigantic organisations lost track of their business forte and started to diversify into too many non-related activities. So it is important for them to keep level headed and not become arrogant and lose their footing in the process. Despite the frenzy to go BIG, there is certainly room for the smaller and medium-sized developers which are appreciated for their quality projects, timely delivery and good after-sales service. Deputy news editor Angie Ng believes industry players who uphold the basic tenet of appreciating and engaging with their customers will survive the good and bad times. 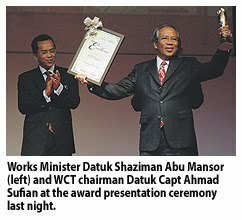 The Construction Industry Development Board (CIDB) has presented WCT Bhd with the Contractor of The Year Award during the Malaysian Construction Industry Excellence Awards 2010 (MCIEA 2010) last night. WCT is a well-known name in the global construction market. Its mega projects abroad include the Abu Dhabi F1 Circuit, the New Doha International Airport, Bahrain City Centre, the Bahrain International F1 Circuit and Platinum Plaza in Ho Chi Minh, Vietnam. "The group has reached the far shores of development, literally and metaphorically, making it an icon to the Malaysian construction industry," CIDB said in a statement. The group, along with Sunway Construction Sdn Bhd and ShinEversendai Engineering (M) Sdn Bhd were also presented the International Achievement Award - Special Mention which honours the achievement of Malaysian contractors registered with CIDB for their outstanding and credible recognition in overseas construction venture. WCT adviser Chua Siow Leng was presented the Prominent Player Award to recognise his more than two decades of contribution towards the betterment of the industry. CIDB has named property developer Ireka Corp Bhd founder Lai Siew Wah as Chief Executive Officer of the Year. Putra Perdana Construction Sdn Bhd was also recognised for its Energy Commission diamond building, bringing home the Innovation Award.